What's so good about HDR? We asked a Hollywood colourist | What Hi-Fi? 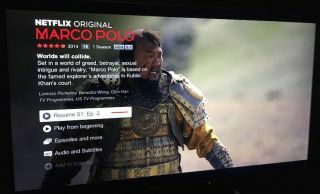 From TV manufacturers such as LG, Panasonic, Samsung and Sony, to content providers such as Netflix and the big Hollywood studios, everyone is talking about HDR (High Dynamic Range). If you want to get the very best possible picture quality in 2016, accepted wisdom says you need to be watching HDR video. But what's so great about HDR? How does it work? And how does HDR affect the picture? We went to Warner Bros studio in London to speak to Dado Valentic, an HDR Colourist, to find out more. As well as explaining his job and the role of HDR in the film-making process, Valentic told What Hi-Fi? why he thinks 4K only now makes sense thanks to HDR, his thoughts on HDR TV broadcasts and revealed the incredible number of different film masters now required thanks to the changing ways we consumer media. Watch the full interview below. Convinced? You might need a new 2017 TV. MORE: HDR explained: What is it? How can you watch it?